Our Easy Breakfast Cookies only take 3 ingredients and take about 15 minutes to whip up! 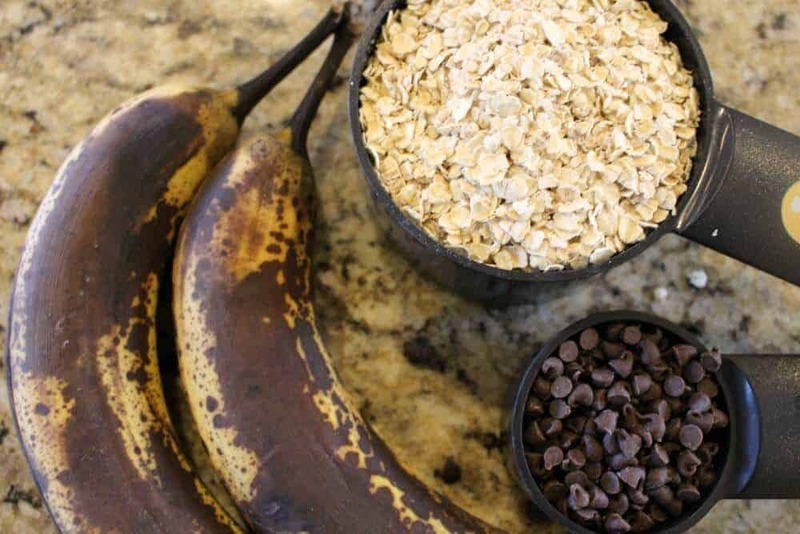 Bananas, oatmeal and chocolate chips (with a sprinkle of cinnamon) are all you need for this healthy breakfast option! We love easy breakfast recipes like French Toast in a Mug and Nutella French Toast Roll-Ups. Need a healthy option, how about these Monster Cookie Oatmeal Energy Balls! The best part is for all of these you likely have all of the ingredients in your pantry!! Do you ever have those days where you just need a quick grab and go snack? These soft and chewy Three Ingredient Chocolate Chip Oatmeal Breakfast Cookies are the perfect fix! Who doesn’t love the idea of a cookie for breakfast? These breakfast cookies are different than your average cookie though! They are healthy! They are also gluten-free and nut free, so they are perfect for those with restricted diets! 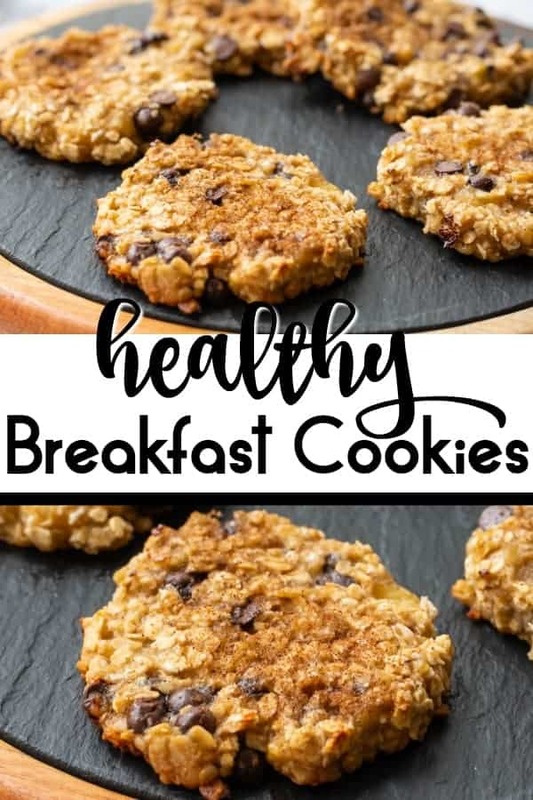 The other day, my friend Michelle (also responsible for the amazing Cinnamon Sugar Cheesecake Bars) told me about this life-changing Chocolate Chip Oatmeal Breakfast Cookie Recipe that she found on Skinny Taste. I just so happened to have some over ripened bananas sitting on my counter and thought I would give them a try. Wow…. just wow!! 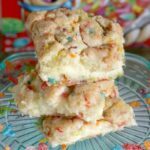 These breakfast cookies will blow you away! 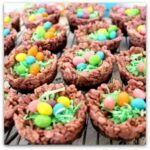 They only take 3 ingredients (I added an optional 4th) and only take about 15 minutes to whip up – and you likely have all of the ingredients in your pantry as we speak!! These breakfast cookies aren’t just for breakfast! They are a very healthy after-school snack for your kids or a quick snack any time of the day! They are soft and chewy and delicious. 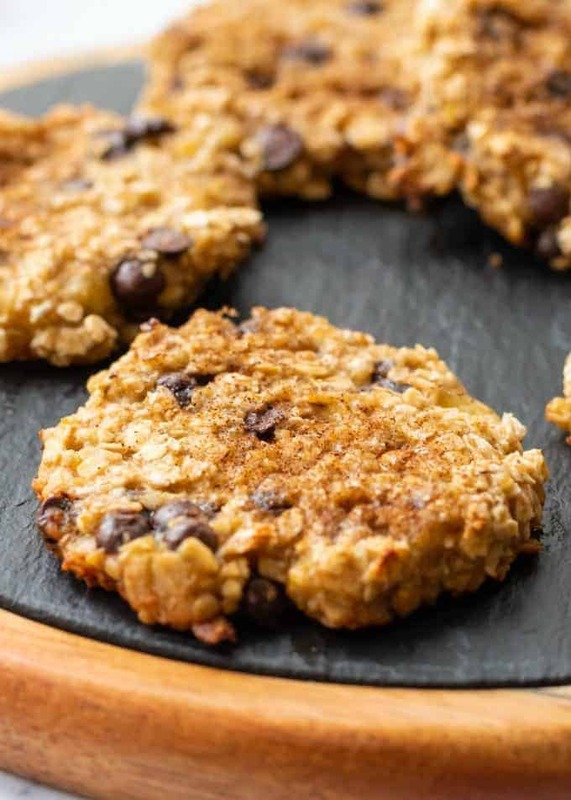 To make these easy breakfast cookies, all you need to have on hand are three simple ingredients bananas, uncooked quick oats, and chocolate chips. If you have some cinnamon sugar or peanut butter, those are great add-ins too! Spray a baking sheet with non-stick spray or line it with a silicone baking mat. In a medium bowl, mash the ripe bananas with a fork or spoon. Stir in the oats and chocolate chips until totally combined. Place a teaspoon of the batter on your cookie sheet (I like to press them down slightly with the back of a spoon). We love banana recipes and whenever we have some ripe bananas on our counter, you can bet there is going to be some baking going on. 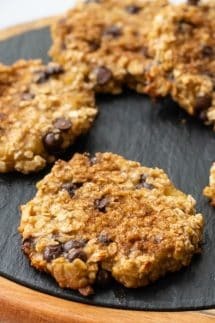 Chocolate Chip Oatmeal Breakfast Cookies only take 3 ingredients and only take about 15 minutes to whip up - and you likely have all of the ingredients in your pantry!! These No Bake Peanut Butter Oatmeal Bars are a family favorite! 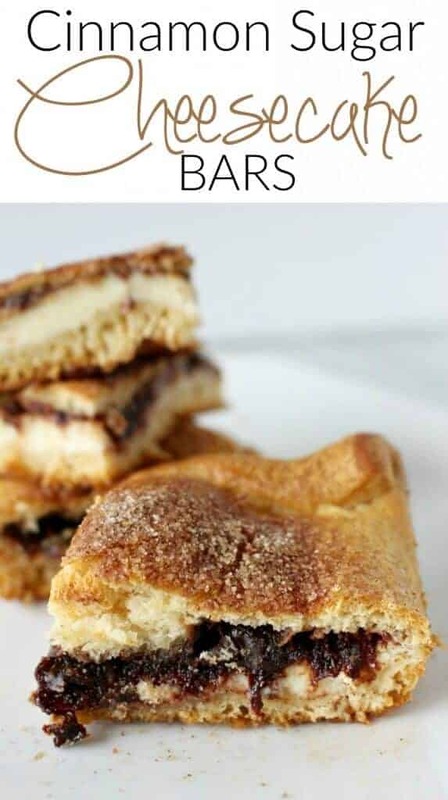 Cinnamon Sugar Cheesecake Bars are a super easy dessert is great for a crowd! You can serve it warm or cold – either way your guests will be begging for more! Not fond of chocolate chips… can I sub in raisins or craisins (dried cranberries)? Do you cook the oatmeal first? Hi Rita – no you do not cook the oatmeal first. 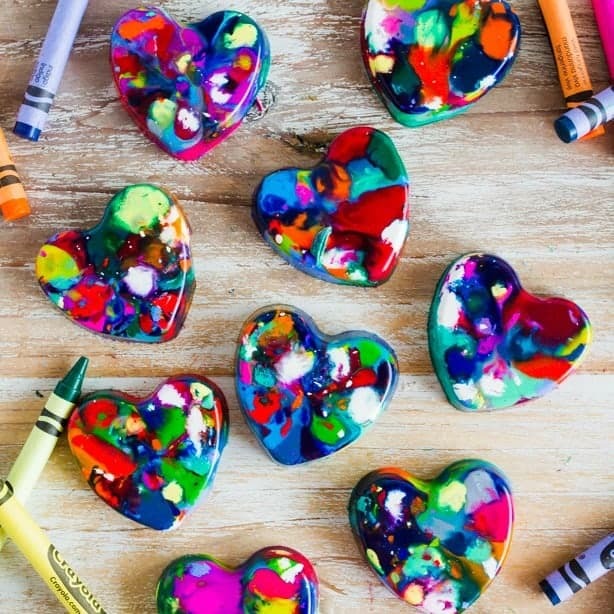 Made these ealier today….LOVE! Not a big fan of chocolate either but it works! They are best fresh (especially yummy when warm). She can store them in an air tight container or zip lock bag. I like to warm them (in my toaster oven on bake) for a few min. Oh gosh – I don’t really know how many it makes – it was a pretty good sized batch! How many can you eat ? andehst the calories in one cookie ? I have not tried it but for worth trying!! Let me know how they turn out. I made these this morning. They were very good, I preferred them cold though. Will definitely make again. It was so easy!! Thanks for sharing.